With more than 310 million members in more than 200 countries and territories, LinkedIn is the world’s largest professional network. It has executives from all of the Fortune 500 and most businesses are at least represented, but most have their entire executive teams connected. It is also home to millions of job seekers, professionals, and small business owners. With all of these members, it stands to reason that at least some of them can your your products or services, right? So the big question is, how can you get the most out of LinkedIn? Well it all starts with your foundation and not making the common mistakes that hold most people back from using LinkedIn effectively. 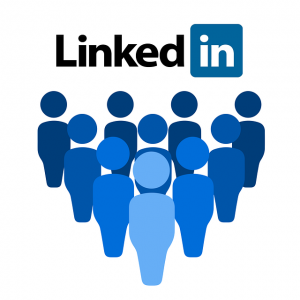 LinkedIn is a very straight forward platform that has a good search engine and allow you to connect with hundreds or even thousands of potential clients. But, people do miss some key elements and fail to figure out how to connect with these prospects. Let’s take a quick look at the most common mistakes people make and how to correct them. Complete your profile. Take a few minutes to add a summary about yourself and if you are in business, then tell the readers of your profile exactly how you help them. Get a decent photo, even today’s cell phones take good pictures. Pick a good hair day and get a photo of yourself. Add a link to your company website or your personal blog, YouTube channel, or Facebook page. You can place 3 links in your profile, so let people know about you. You want to be transparent and build a relationship with them, right? These sites are your chance. Update your profile link. Nothing screams rookie or lack of attention to detail like a profile link with a bunch of random numbers after it. You just have to edit it. #2 – Selling before you relate. How do you feel when a pushy door to door sales person walks up to you and say “hi wanna buy my stuff?” It’s a turn off, right? So why would you do that to your connections on LinkedIn? Why put off your connections with a constant sales message rather than reaching out to help them and building a relationship? Remember LinkedIn, like other social networking platforms are about building relationships and connections, not sales. Don’t get me wrong, you can make a lot of money from your LinkedIn connections, just not before you build a relationship with them, ideally away from LinkedIn. Find out what your connections need. Review their profile and find ways to offer help or ideas. Provide helpful information and tips to your connections. Send them an article related to their field or of common interest to you both. Yes, this takes time on an individual basis, but this is a process like courting them. Build your relationship through thoughtfulness and help first. #3 – Not participating in groups. You can belong to up to 50 groups in LinkedIn at a time, but belonging is not enough. You need to participate in the groups too. Just lurking or waiting for a chance to sell them something is not going to win you much business. Find ways you can help the people in the group. They need to know you before they can like or trust you enough to spend money with you. Join some groups related to your ideal client and then get involved in the conversation happening there. If you have a helpful remark or suggestion, by all means make it. Share useful resources with group members any time you see them, especially when they are free or low cost resources and solutions. Let them get to know you and that you have their best interest at heart. None of this is earth shattering. However, in today’s sound bite world, they are still forgotten by a good number of the LinkedIn membership. Don’t be one of them. Complete your profile, provide your connections help and value, and participate in the groups your clients are in so they can get to know you. Before long, your business will be growing from all of your new connections and contacts.